Before you pinpoint possible data center sites or look into cooling and filtration options, review these best practices for designing a high-performing processing facility. Earlier this month, data storage infrastructure took center stage during Paris Fashion Week. On Tuesday Oct. 4, models donning futuristic Chanel fashions strutted down a runway lined with rows of makeshift server cabinets, Wired reported. Bare metal, brightly-colored chords and blinking status beacons were transformed into art pieces, lending the show a modern feel to match its attendees, many of whom snapped smartphone photos - no doubt adding a few gigs to a functioning data center somewhere. The facilities that actually house server arrays and the systems that support them often determine their performance, according to TechTarget. Internal structures such as floor slabs and pillars can complicate the design process and force installation teams into problematic layouts that make for higher power usage effectiveness rates. When you add in variables like ceiling height, it's easy to understand why selecting the right location is crucial. As you review prospective sites, focus on those with open unobstructed spaces. You want a building that has ample room for racks and can house larger pieces of processing infrastructure such as cooling towers and generators. When designing your data center, pinpoint locations with open spaces for server arrays and support systems. Data centers contain thousands of feet of cable. However, technicians sometimes leave these essential connections unmarked and tangled, increasing the likelihood of accidental downtime, according to TechRepublic. You can avoid such a situation by carefully organizing and storing your cables. Color code and label your server lines so data center employees can easily locate and service them. If you intend to install conduit, be sure to select a size that will accommodate future connections - you don't want to cap your processing potential by putting in an undersized model. Additionally, when it comes to actually running the cable, always measure twice and cut once. Organizations in the process of establishing data centers often spend considerable time looking into cooling options, as these systems are absolutely essential. Unfortunately, many adopt methodologies that rely heavily on expensive, hard-to-store equipment. In most cases, this simply isn't necessary. For example, many companies use air conditioners or chillers to cool their server racks. Unfortunately, these devices consume 30 to 70 percent their overhead energy budgets, according to Google. Water-based cooling systems are a better way to go, as they are more compact, energy-efficient and, therefore, cheaper to operate. You might not even need to run your cooling system that often if you select a relatively temperate site. Additionally, you can also cut costs while keeping your servers cool by bumping up the thermostat. For the longest time, data center technicians have kept indoor temperatures hovering near 70 degrees Fahrenheit so as not cook processing equipment. In reality, most industry-standard servers can comfortably withstand cold aisle temperatures of 80 degrees or higher. 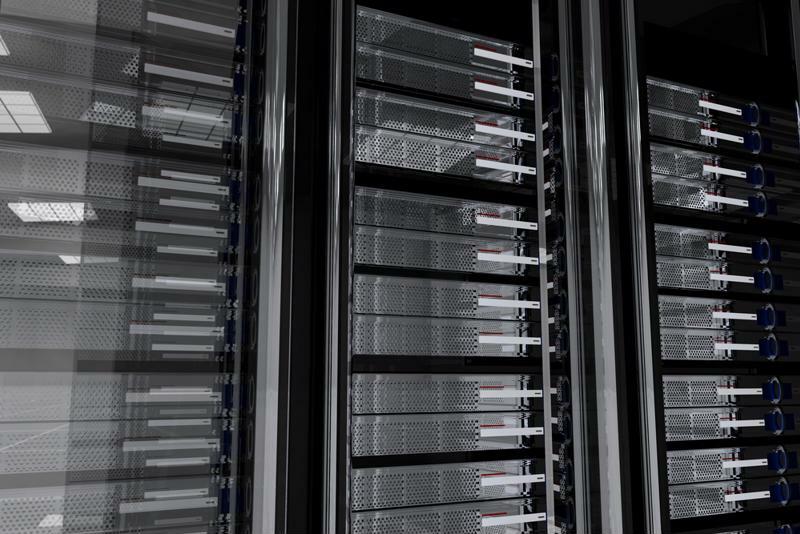 "To keep your data center running smoothly your must schedule data center cleaning services." The journey doesn't end after you put the pieces together and construct an ideal data center fit for fashion week. To keep things running smoothly, you must perform regular maintenance and that means cleaning your facility and the equipment within its walls. FirstTech Corporation can help. We offer robust data cleaning services for almost every area of your critical environment. Our certified professionals can disinfect your exterior hardware, ceiling-bond support structures and under floor spaces. Contact us today to learn more about our data center cleaning services.